Top places to visit in Slovakia with pictures and map! Slovakia is a small country well-hidden right in the middle of Europe where you will also find one of the few geographical midpoints of Europe. Slovakia boasts amazing nature with thousands of caves, 9 national parks, more than thousand of nature reserves, huge waterfalls, glacial lakes, mountains and even few primeval forests. But that’s not everything. Slovakia also has very nice and romantic cities, small medieval towns, cathedrals or wooden churches, castles and colorful folk heritage. I compiled the list of the Top places to visit in Slovakia so you’ll better know where to spend your holidays. 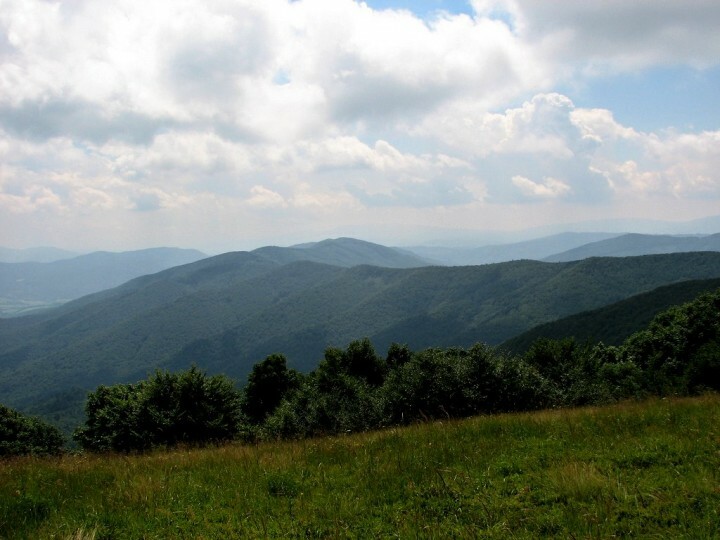 As mentioned above Slovakia has 9 national parks that protect mountainous part of the country. 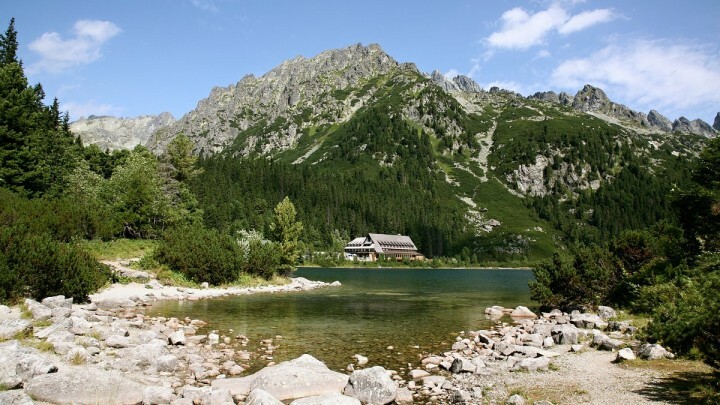 The most popular of them is none other than High Tatras National Park. Known also as Vysoké Tatry in Slovakia it is the oldest national park in the country and offers countless hiking, climbing and skiing possibilities. Here you will find the highest peak in Slovakia – Gerlachovský štít which is 2,654 meters high. You can get to its top only as a guided tour, which costs around €200. Štrbské pleso glacial lake, Lomnický štít mountain (2,634 m), Zelené pleso glacial lake, Skok Waterfall, Belianska Cave or village of Ždiar are some of the most popular places in this national park. The area is also known for having some of the most famous spa resorts in the country and these can be found in Starý Smokovec. High Tatras National Park is popular mainly among hiking and climbing enthusiasts and offers around 600 kilometers of well-marked hiking trails. With additional ski slopes and cross-country trails, it is popular sports destination also in winter. High Tatras National Park is located in Prešov region in the north east of Slovakia! For detailed travel tips in this region read this article: Things to do in Prešov region – 30 places to visit. 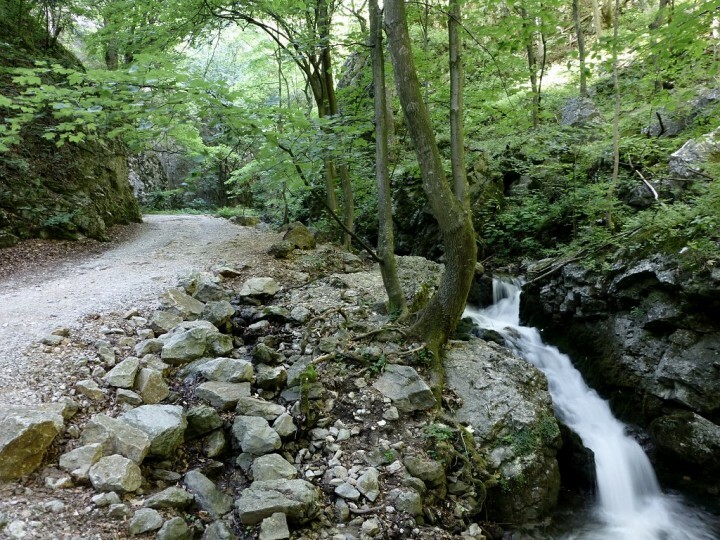 Slovak Paradise National Park is another gem in Slovakia. It is 210 square kilometers of the forest with 300 km of marked trails from which the most popular ones will take you to Tomášovský výhľad (amazing view from the rocky cliff) or through the Hornád Canyon (Prielom Hornádu). There are lots of narrow canyons and deep gorges with waterfalls or even wide plateaus and the hiking trails feature wooden bridges, ladders, and chains. Majority of the trails leads to the streams and waterfalls and it is recommended to have waterproof hiking boots. The hiking trails are opened also in winter when the water creates amazing ice sculptures. 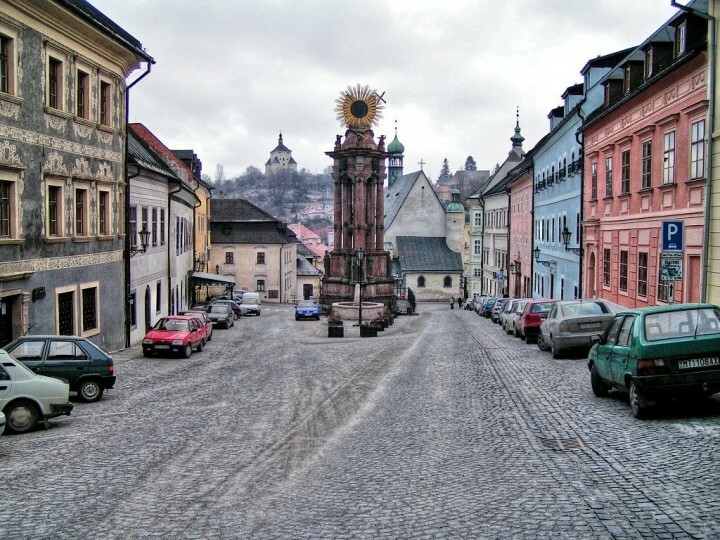 Some of the best starting points include Dedinky, Stratená, Podlesok or Letanovský Mlyn. There are lots of accommodation options in each of these resorts from very cheap camping, through private rooms up to hotels. Dobšinská ice cave, also located in the Slovak Paradise National Park, is one of the largest ice caves in Europe. Due to its significance and unique ornamentation, it was included into the UNESCO World Heritage List. Dobšinská Ice Cave, Slovak Paradise National Park, Slovakia by Edgars En. 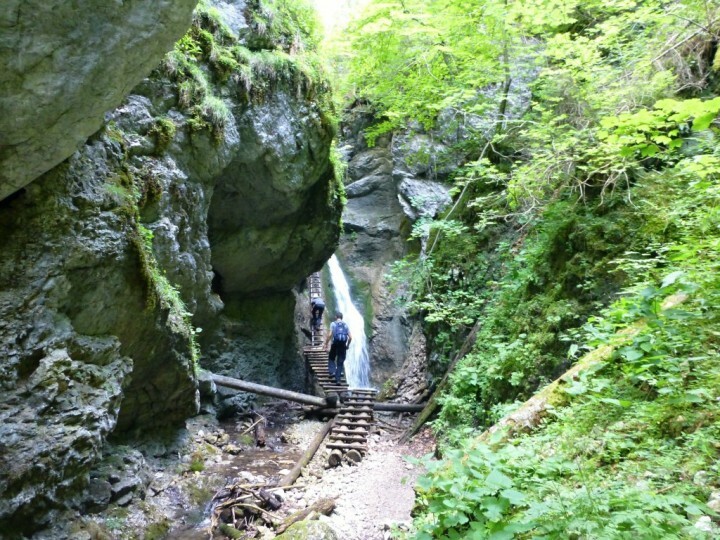 Slovak Paradise National Park is located in Košice region. There are lots of other great places to visit in this southeastern Slovak region, for more inspiration read the detailed article here: Things to do in Košice region – 58 places to visit around Košice. Slovak Karst National Park is located in the southern part of Slovakia and is very rich in the caves. There are over 1000 caves and abyss within the Slovak Karst National park. 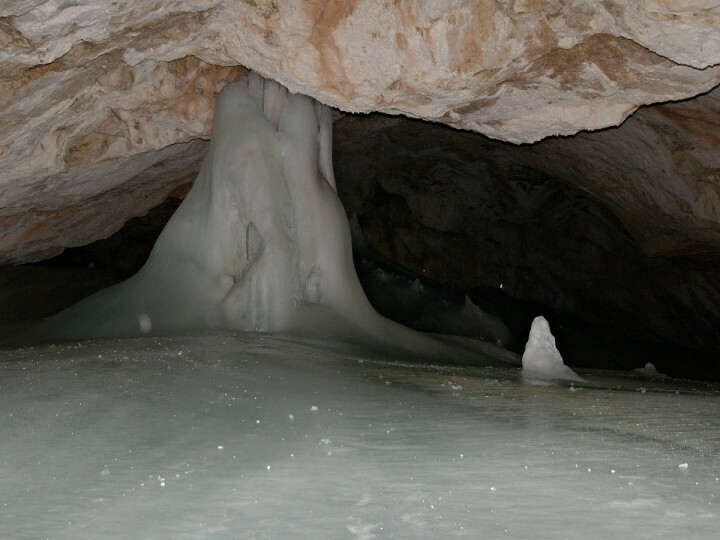 Even the lowest-lying ice cave in the world can be found in this area. 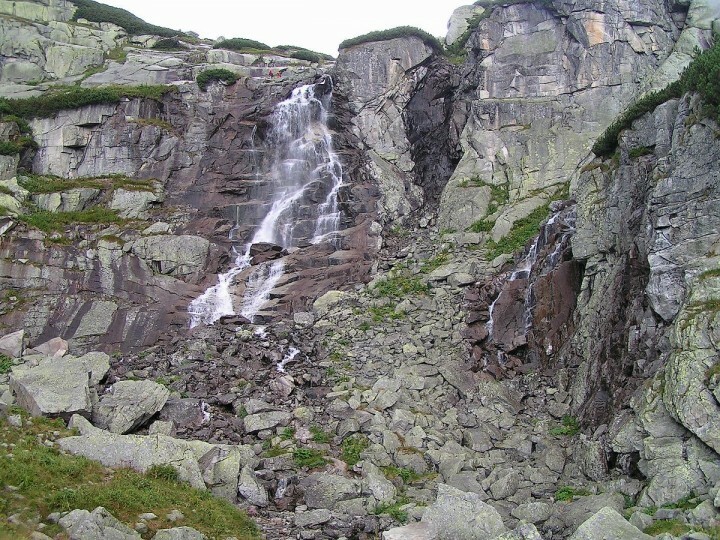 Its name is Silická ľadnica and lies at 503 meters above the sea level. 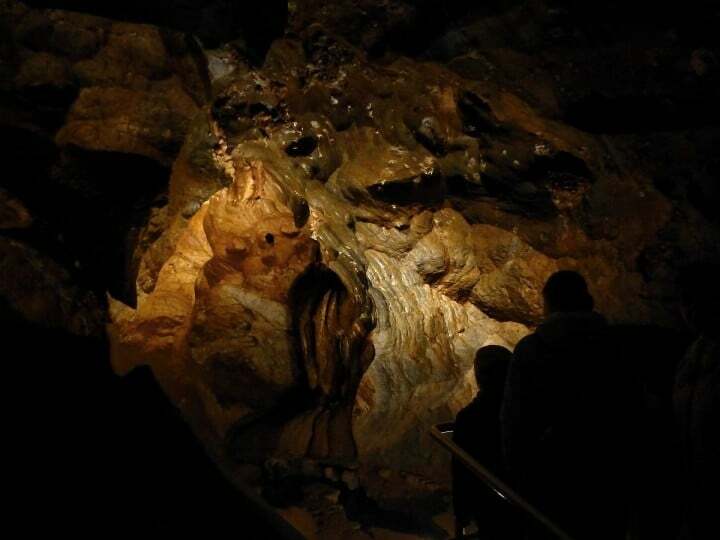 You can visit Domica Cave, Gombasecká Cave, Jasovská Cave and one which is unique in Europe and one of just three in the world – Ochtinská Aragonite Cave. All of them are inscribed on UNESCO World Heritage List. 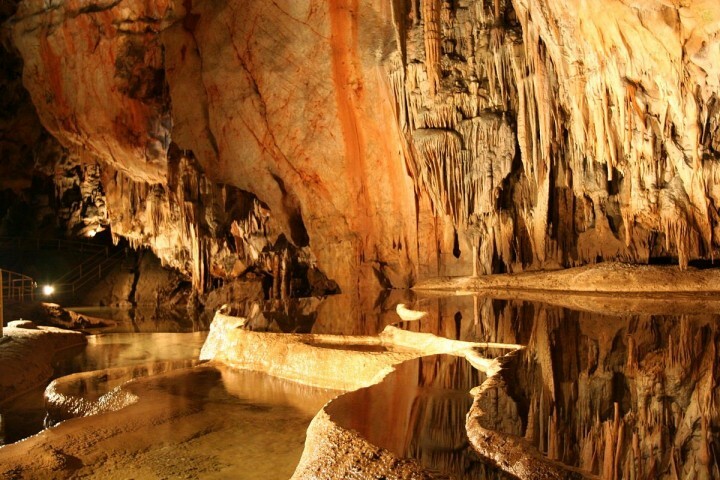 Read more about Slovak caves here: Visit Slovakia and its Amazing Caves! Among the most attractive places in the Slovak Karst National Park and nearby is Zádielska Valley. 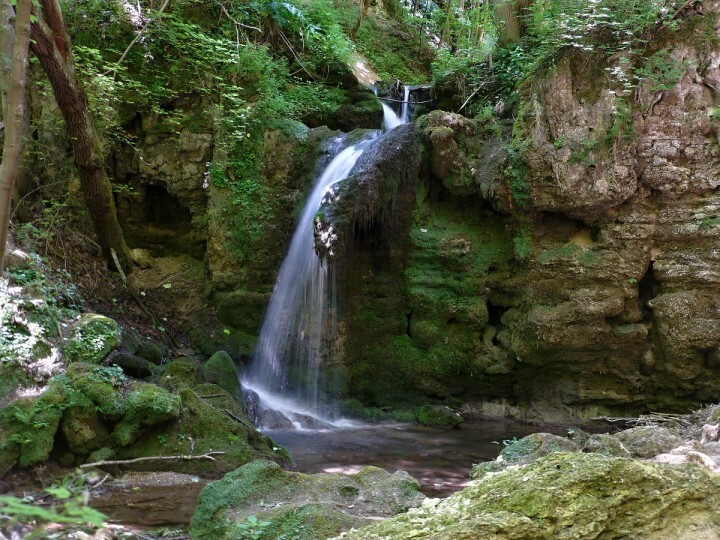 It is located near the village of Zádiel about 40 km from the city of Košice. The valley’s narrowest part is only 10 meters wide, with high cliffs around that reach a height of around 300 meters. It is really a pleasant walk. Another amazing place nearby is Hájske waterfalls. But there are lots of other marked hiking trails in the national park so even a week spent here can be really full of experiences. Slovak Karst National Park is made of hundreds of caves, few of them are open for public. There are lots of wonderful caves in Slovakia that you should visit! Read more here: Caves in Slovakia – Visit Slovakia and its Amazing Caves! In terms of light pollution the Poloniny National Park is the darkest area in Slovakia. It also has exceptionally small population density (9 residents per 1 square kilometer). Poloniny National Park is the least visited national park in Slovakia, thanks to which the human impact is minimal on the environment. Some parts of the park are included into UNESCO World Heritage Site. These are Primeval Beech Forests of the Carpathians and includes primeval forests in Ukraine and Germany as well. 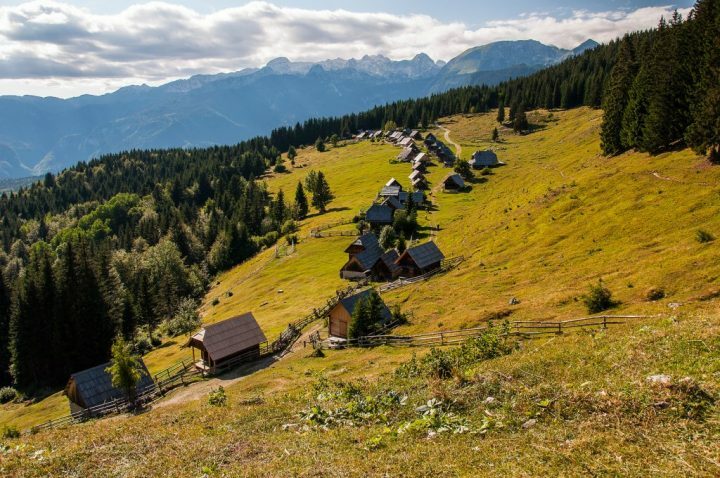 Read this article if you want to learn more about National Parks of Slovakia and their best places to visit, where you’ll also find the best places for your trips to these national parks! Lots of beautiful and wild growing beech trees can be found in Eastern Slovakia. 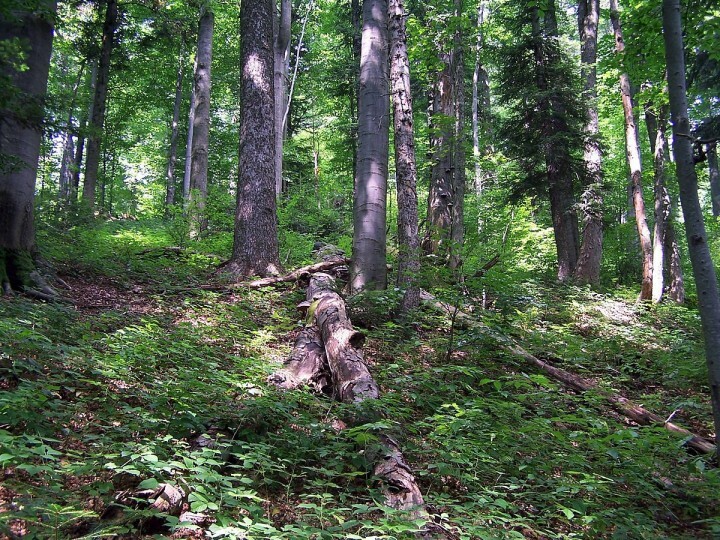 Primeval beech forests such as Stužica, Havešová, Rožok and Kyjovský were together with six other forests in Ukraine inscribed in the list of UNESCO World Cultural and Natural Heritage in 2007. National Nature Reserve Stužica is one of the most important protected areas in Slovakia. It is the largest virgin forest reserve of mountain type in Europe. 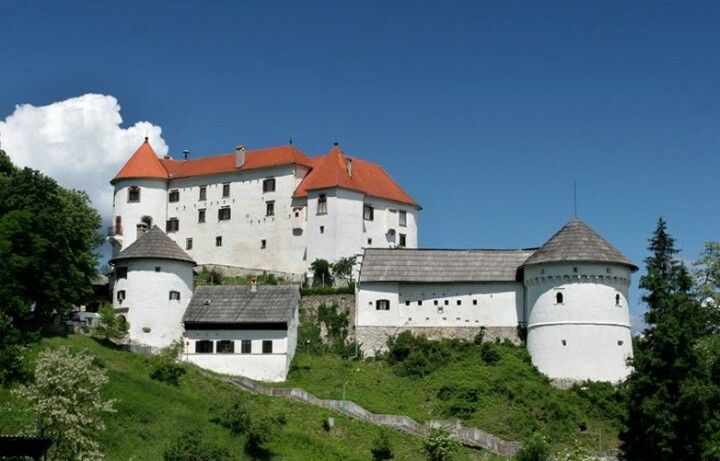 Slovakia is full of wonderful UNESCO places, read UNESCO World Heritage Sites in Slovakia – 26 UNESCO places in Slovakia! for more inspiration! 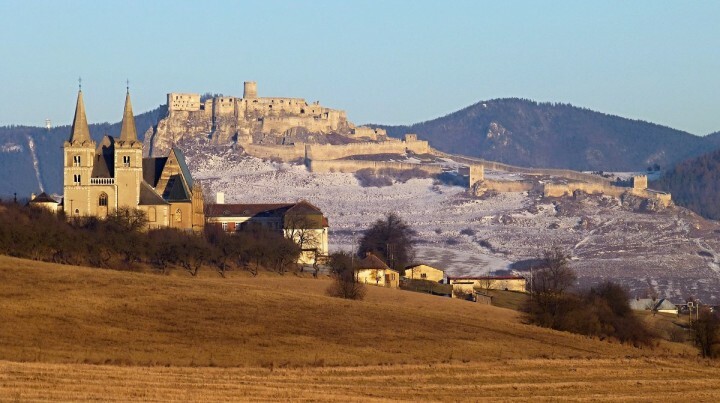 Slovakia is very small country but boasts a number of amazing castles from which Spiš castle is one of the largest castle complexes in Central Europe. There is no such video spot about Slovakia where you would not see Orava Castle, which is the most beautiful castle in Slovakia. If you visit this castle in the summer you will see the actors in medieval cloths in the castle rooms. 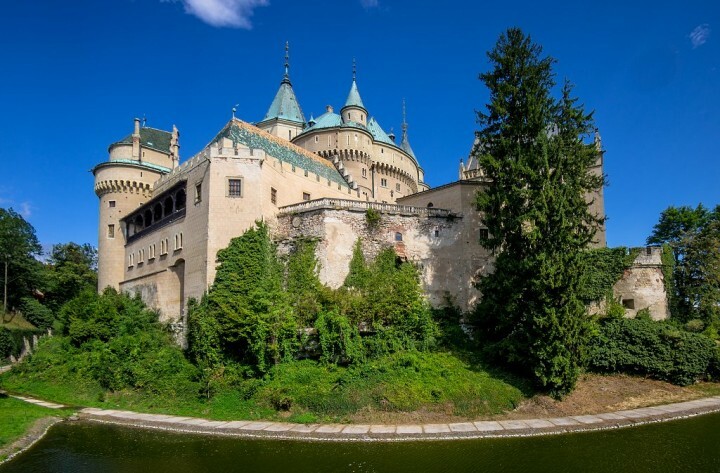 Stará Ľubovňa castle, Bojnice castle, or Krásna Hôrka Castle (closed for restoration works after it was damaged by fire) are just few other that worth a visit. If you would like to see how aristocracy lived at the beginning of 19th century then Betliar manor house is probably the best option. Nicely furnished rooms will take you 200 years back when the house was reconstructed for the last time. If folk architecture is something you are really passionate about, then visiting some of the open-air museums in Slovakia will satisfy all your senses for sure. 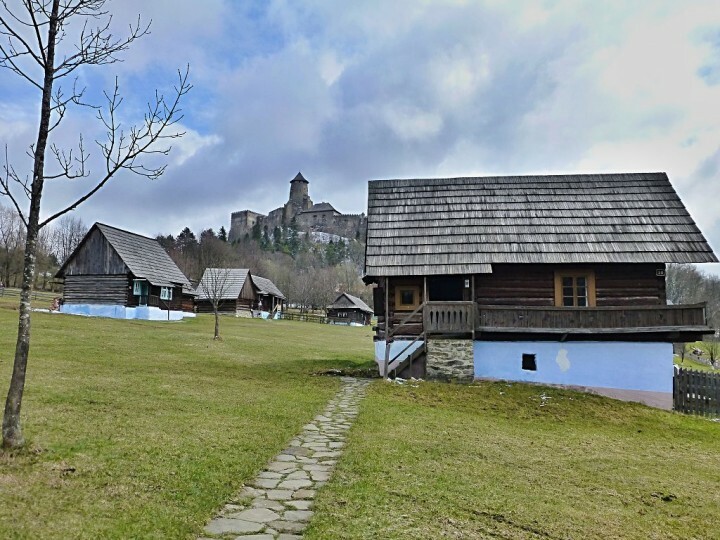 Slovakia has several amazing open-air museums presenting the folk architecture as it was usual 100-200 years ago. You will see some great wooden churches, small houses and cottages, schools and other buildings that served the people a long time ago. 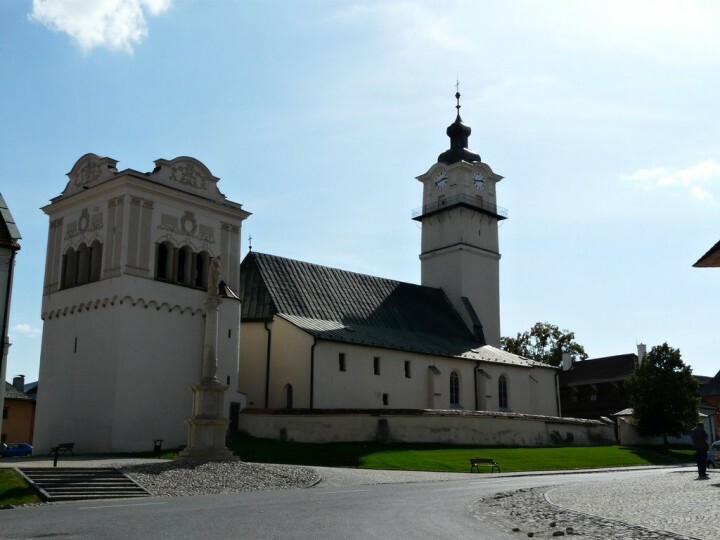 Open-air museums in Slovakia can be found in the following cities/towns: Stará Ľubovňa, Bardejovské Kúpele, Vlkolínec, Čičmany, Svidník, Humenné, Pribylina, Martin, and several others. 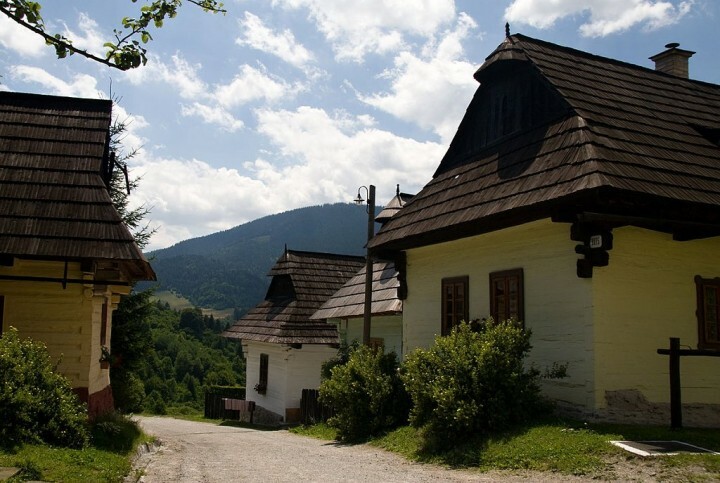 But Slovakia also boasts some of the best preserved typical villages in Europe. These are e.g. Vlkolínec village, which is also UNESCO World Heritage Site, Podbiel, Sebechleby, Špania Dolina, Veľké Leváre, Čičmany, Osturňa, Brhlovce and other villages. Slovakia is also rich in romantic and well-maintained cities and towns. You will find great historical old towns here with smaller or bigger squares dotted with churches and cathedrals, city walls or even castles, towers, palaces and green parks, usually featured with some fountains. 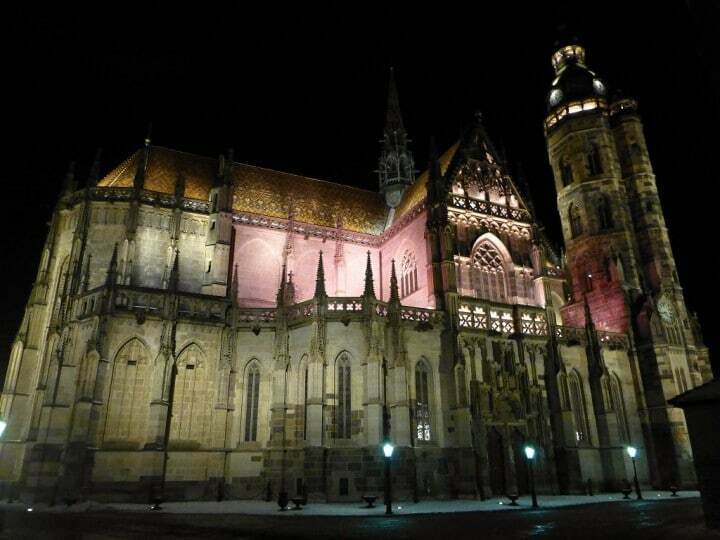 Košice is definitely the most beautiful city in Slovakia. In its old town center, you will find a Gothic Cathedral, State Theater, Urban’s Tower and St Michael Chapel, all of these in one – main street. Plus there are several parks with fountains around these sights. 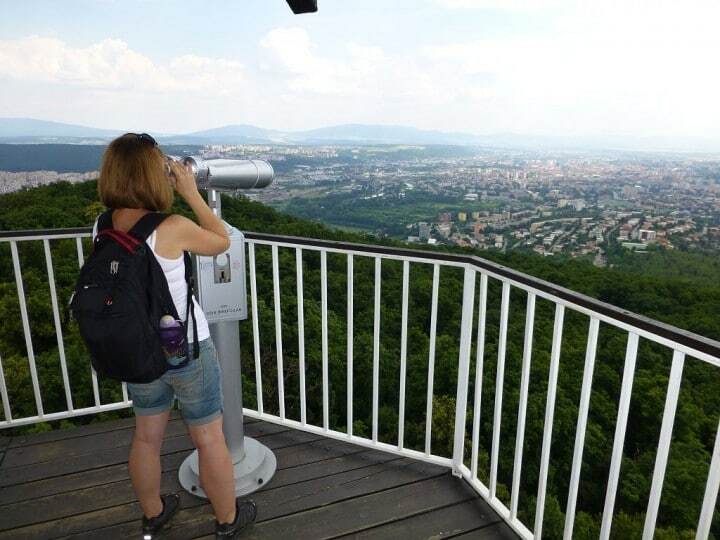 But there are much more attractions, sights and palaces in Košice that worth a visit, including Botanical garden, ZOO with DinoPark, or view tower with an amazing view of Košice and its hilly surroundings. Banská Štiavnica is one of the most beautiful and old towns in Slovakia. The city was together with technical monuments in the area inscribed on the UNESCO World Cultural and Natural Heritage List in 1993. 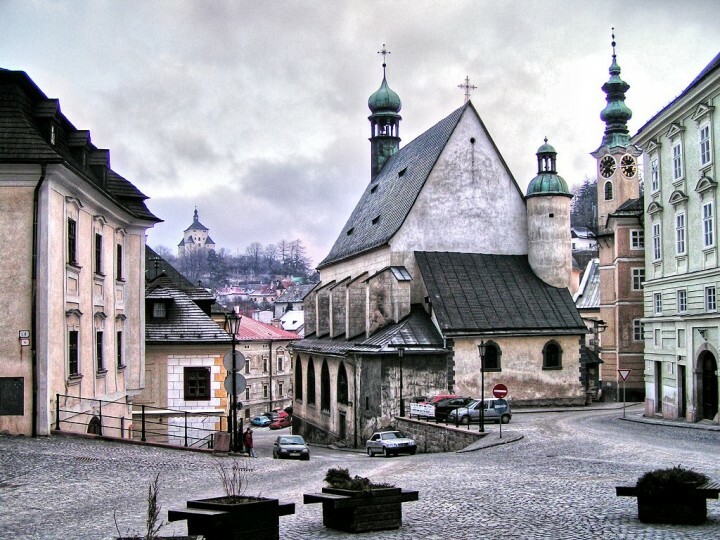 In several periods between 13th and 18th centuries, Banská Štiavnica was the most productive silver mining area of all mining districts in Europe. And thanks to this you can now find around 360 historical monuments here. Levoča is a medieval town also inscribed on UNESCO World Heritage List since 2009. It has very nice old town square with lots of sights but its main treasure is the highest wooden altar in the world (18,62 meters) which you can see in St. Jacob church. 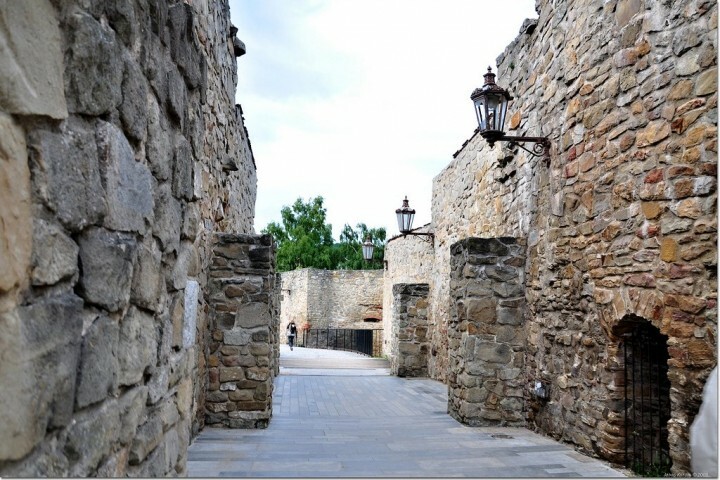 Levoča has almost completely preserved fortification system with several gates and towers. It is one of the most beautiful cities in Slovakia and is close to High Tatras National Park, Slovak Paradise National park or Spiš castle. 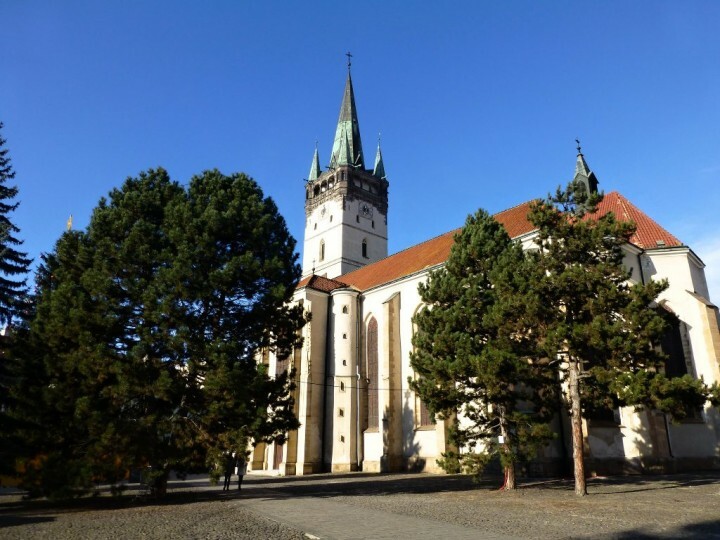 Read more about this town and find out What to see in Levoča – medieval UNESCO town in Slovakia. 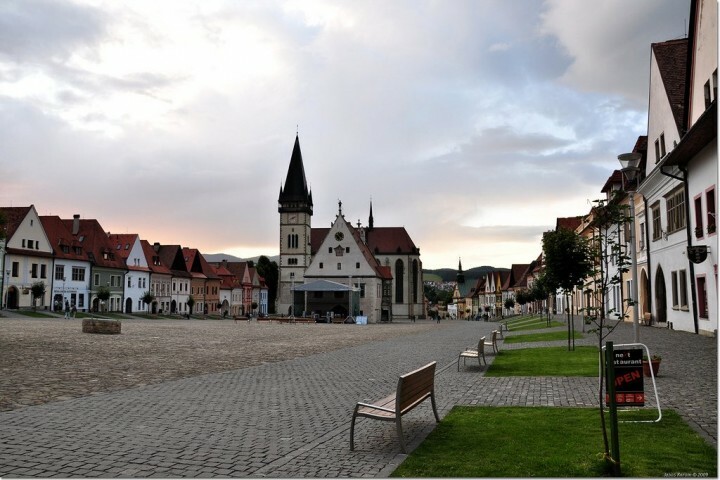 Bardejov is another UNESCO historical town situated in eastern Slovakia, close to the borders with Poland. 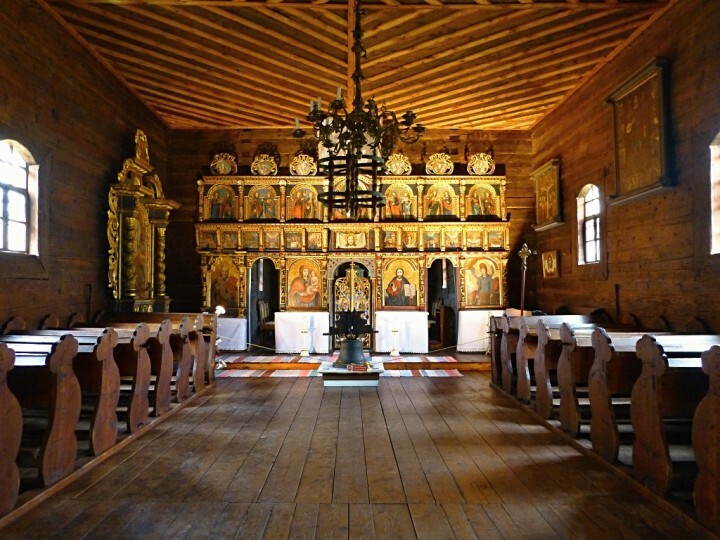 Together with the nearby open-air museum in Bardejovské Kúpele and old wooden churches in surrounding villages, it is a good option for enjoying some cultural holidays in Slovakia. 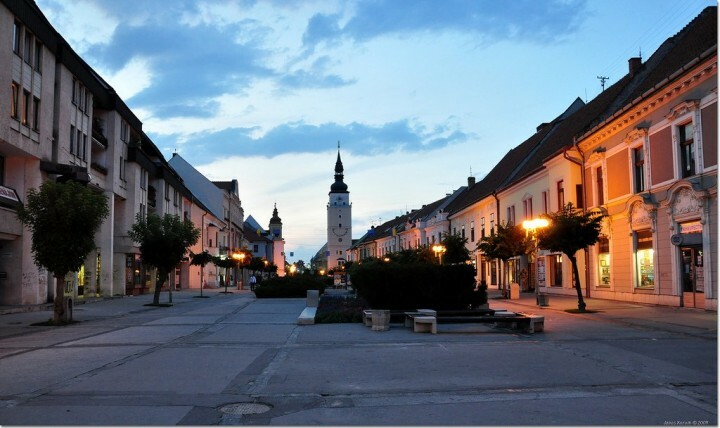 Bardejov city center, Top places to visit in Slovakia by János Korom Dr. 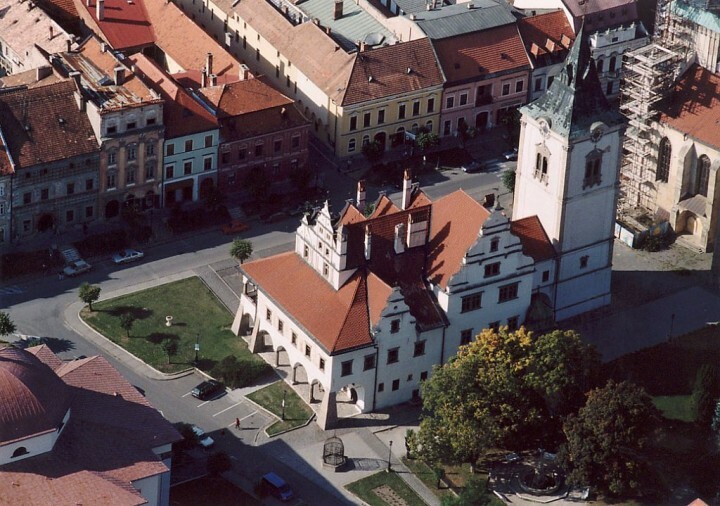 The main sight in Bardejov is Parish Church of St. Egidius that was built around 1448, now a national cultural monument. 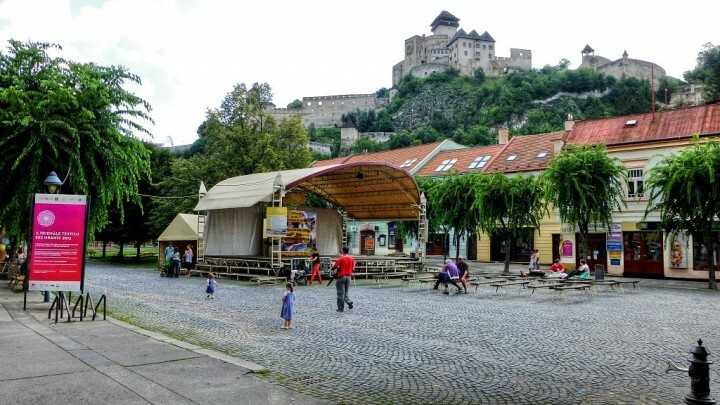 The city boasts some of the best-preserved fortification systems in Slovakia. 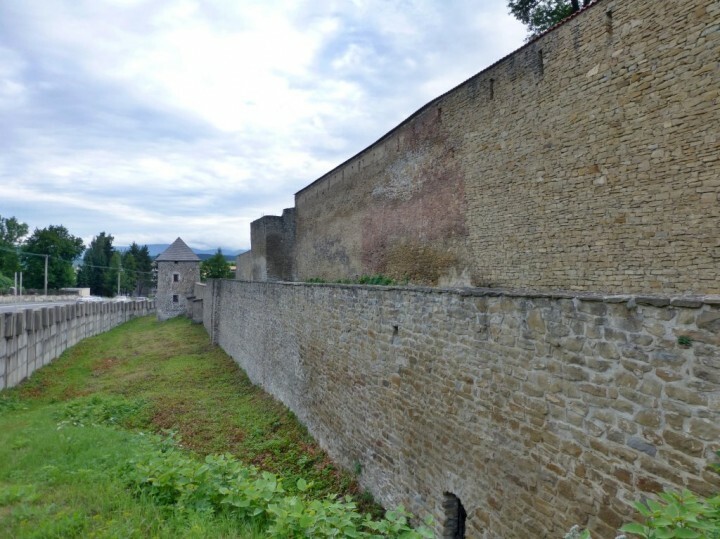 Huge city walls in Bardejov, Top places to visit in Slovakia by János Korom Dr.
Trenčín with its castle towering just above the city center is one of the most beautiful cities in Slovakia. 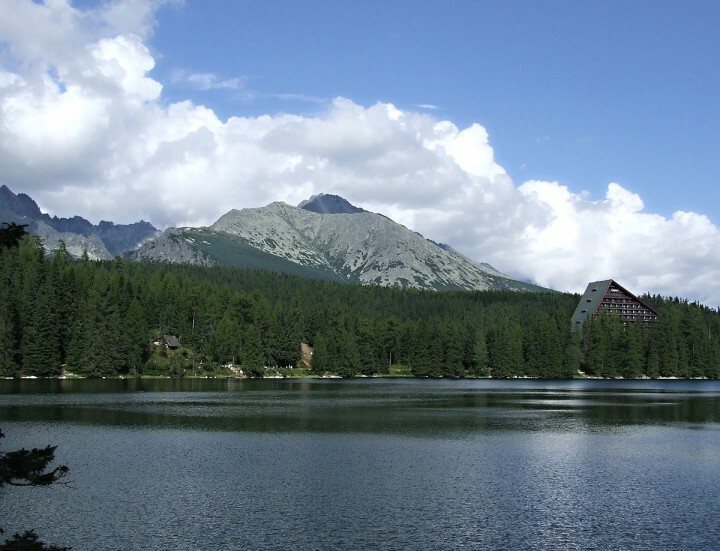 Situated on its northwestern part, it is nice stop for people travelling from Bratislava to High Tatras National Park. The unique mixture of people and cultures can be found in one of the most beautiful and intriguing cities in Slovakia – Prešov. The third largest city in Slovakia is the capital of Šariš region. Built already in the 14th century, Saint Nicholas Concathedral is the city’s main landmark and stands in the middle of the old town. Thanks to its size and significance the church attract many worshipers and tourists. However, there is a lot more to do in and around the city. Visit Rakoczi Palace which now houses very nice Country Museum Presov, where you will have an opportunity to learn something more about the region. Caraffa´s Prison, Alexander Nevski Orthodox Cathedral, Orthodox Synagogue or Salt mine are just few more tips. There are many castle ruins all around the city as well offering great views over the city and its surroundings. Some of the best can be enjoyed from Zbojnicky castle ruins. During the nice weather, you can even see the High Tatras mountains. If you would like to see more from Prešov region, check this article about Things to do in Prešov region – 30 places to visit. Bratislava is the largest city in Slovakia and also the country’s capital city and it has several nice places you would want to visit, including the castle towering high above the Danube river and offering great views over the city. 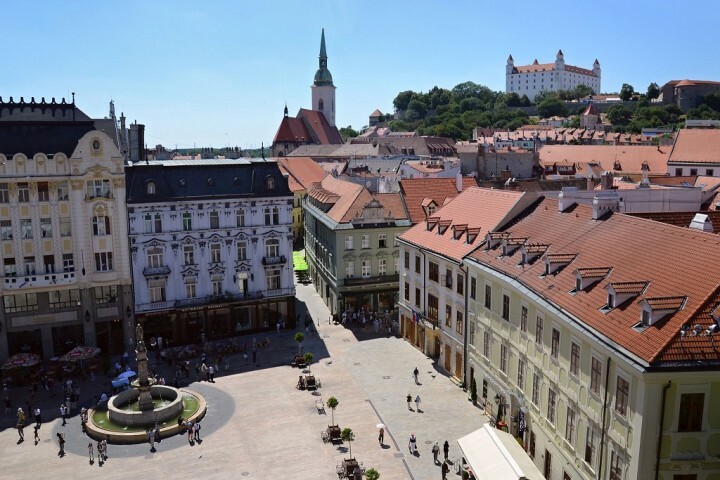 The streets around Michael’s Gate in the city center and romantic restaurants and squares around will make your trip to Bratislava a special one. You can come here by boat from Vienna and then continue further to Budapest if you wish and such enhance your holiday experiences. 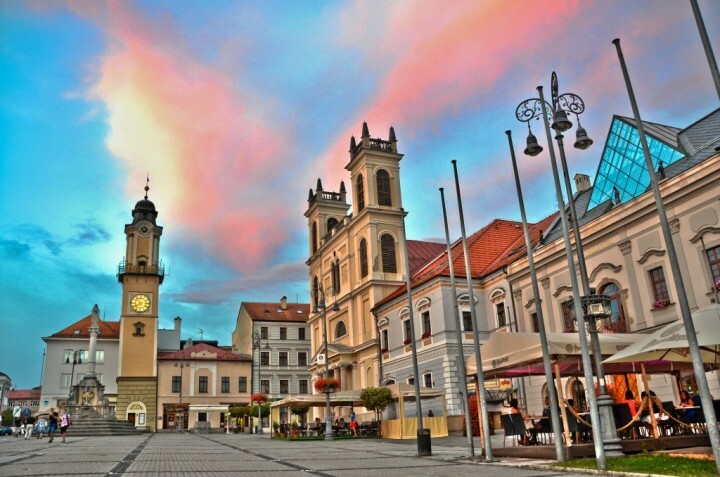 Trnava is a small town in the western part of Slovakia (just 50 kilometers from Bratislava) and it’s main features are the city’s baroque complex of Trnava University and the large number of churches, after which the city is called the little Slovak Rome. From its main sight I should mention Renaissance town tower from 1574, town hall, Baroque church of St. John of Baptist from 17th century or Gothic town walls. 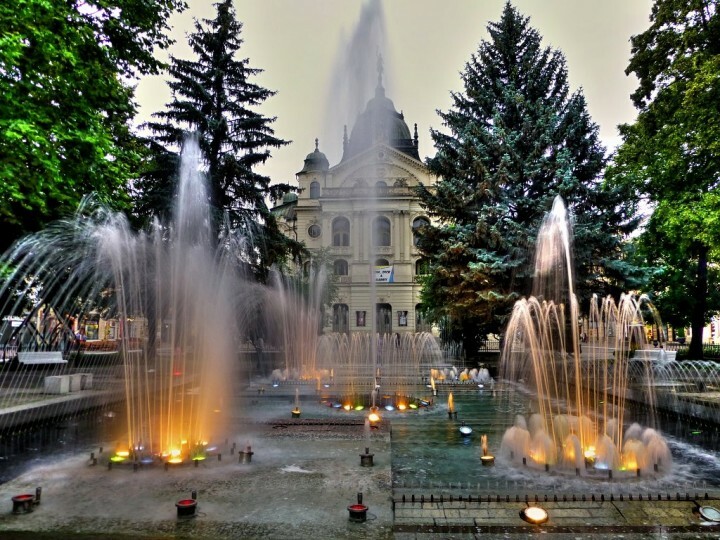 Trnava, Top places to visit in Slovakia by János Korom Dr. Located right in the heart of Slovakia, Banská Bystrica is a very nice city. Its main square is one of the most beautiful squares in the country. You will like it especially during summer days when it is full of live bands and restaurants open their terraces. Sitting at the borders of two national parks, Banská Bystrica serves as a gateway to Low Tatras and Veľká Fatra National Parks. Not far from the city you have to visit Špania Dolina, a small typical village that preserved its appearance until these very days. Even the city of Poprad is a gateway to two national parks – High Tatras Mountains National Park on one side and Slovak Paradise National Park on the other. Its nice old town center is not that large, but is very cute! Nearby Spišská Sobota town became a part of Poprad after World War II and thus made Poprad a city with two town centers. 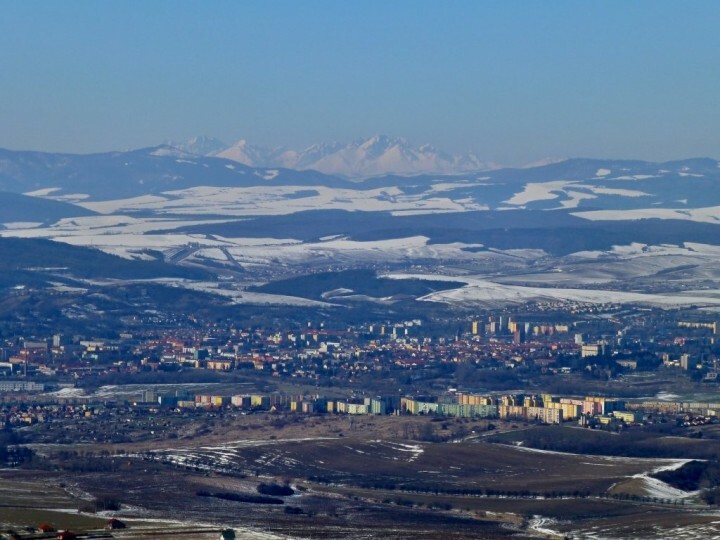 If you have been to Poprad but haven’t visited Spišská Sobota, your visit is not complete. You can get there even on foot from the town center. Slovakia is rich in thermal springs and this is why there are lots of water parks here offering to relax during the hot summer days, but also during cold winters. You can relax in the outdoor pool and watch the surrounding mountains while everything is covered in snow. 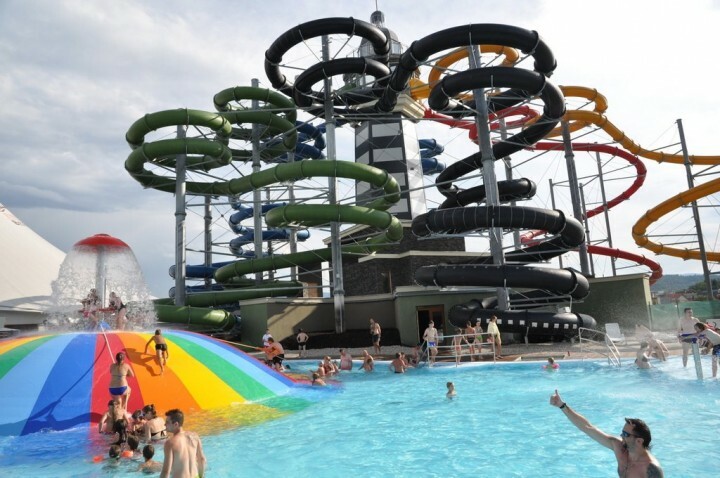 Situated close to the town of Liptovský Mikuláš, Aquapark Tatralandia is without a doubt the most popular attraction in the area and one of the largest aquaparks in Central Europe. With several pools of hot thermal water and some of the cold fresh water and numerous water sliders, new Tropical paradise, as well as a huge Wellness center it is a great tip for a whole day relaxation at the foot of Western Tatras mountains. Not far from Aquapark Tatralandia is another well-known Water World GINO PARADISE Bešeňová. It is built on the area of thermal hot springs spewing from a depth of almost 2000 meters with a temperature of 60.5 °C. Here you will find 7 outdoor pools with geothermal water, 3 indoor swimming pools with water slides, whirlpools and sea waves, 30 meters high tower with six water slides with a total length of more than 1 km and a children’s pool with lots of attractions. Large wellness and spa center is not missing here as well. Thanks to its location between High Tatras National Park and Slovak Paradise National Park it is a good option for tourists who spend their active holidays in these areas. The only thermal water park in Košice region can be found in its southeastern part and its name is Dolný Zemplín region. It is home to the largest water reservoir in the country, once the major summer holiday area in the whole Czechoslovakia – Zemplínska Šírava. On the shore of the lake, a brand new aquapark with thermal water – ThermalPark Šírava was recently built and opened (in 2013). It offers several pools, sea waves, slides, extensive wellness center and offers amazing views of the lake! 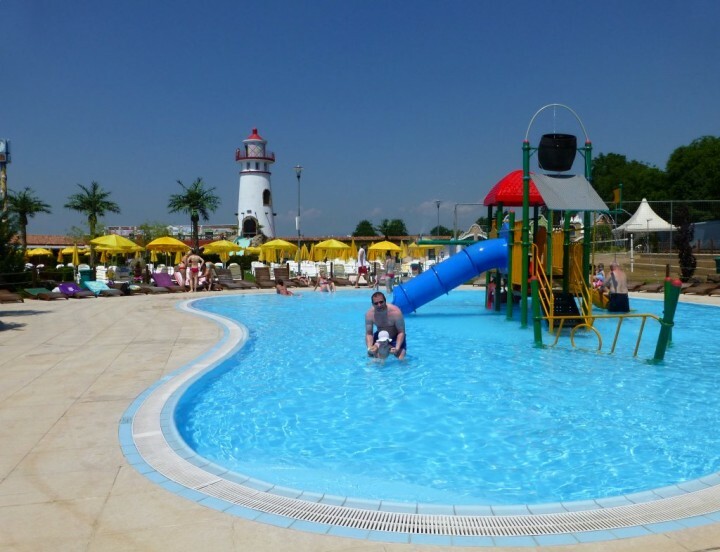 If you still want to stay in the eastern part of Slovakia you can rest for a while in PLAZA BEACH Solivar. 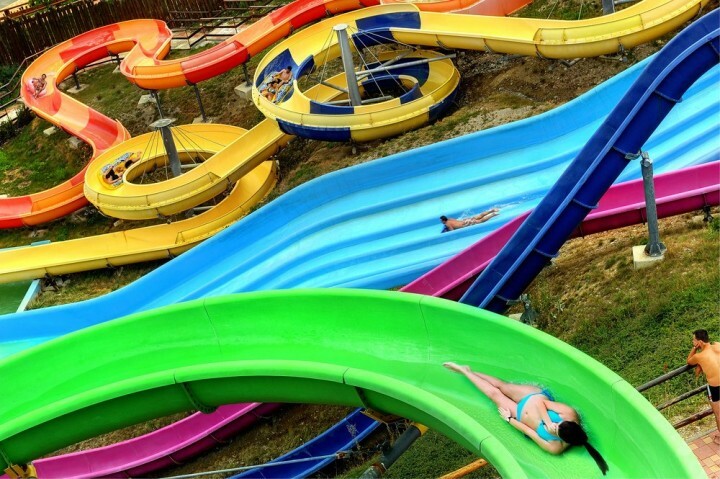 This aquapark is totally different from other water parks in Slovakia. PLAZA BEACH Solivar is unique for its Mediterranean architecture, palm trees, and salt water. There are a two-lagoon pool, swimming pool and children’s pool as well as a water slide. It is not hard to find in in the city of Prešov because its tall lighthouse can be seen from afar. This is the first Landlocked Lighthouse in Slovakia and from its top, you can enjoy great views of the surroundings as well as High Tatras Mountains. 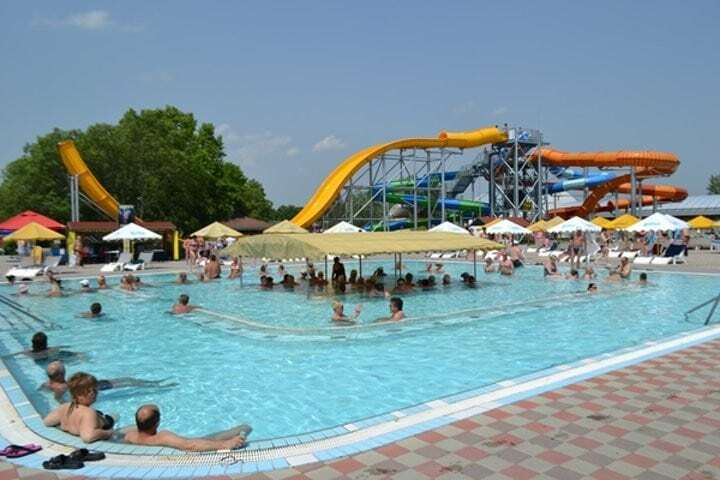 Vadas Thermal Resort in Štúrovo is a popular water park in Slovakia, which offers a wide range of services. Its capacity of 10,000 visitors, swimming pools of various size both indoor and outdoor and other sporting facilities make this aquapark ideal for relaxation to all fans of water and sun. Here you will find 7 outdoor and 2 indoor pools with water slides. Pools are supplied with thermal water from a depth of 130 meters with a temperature of 39°C. There are lots of accommodation options within the resort including camping, bungalows, apartments or hotel. 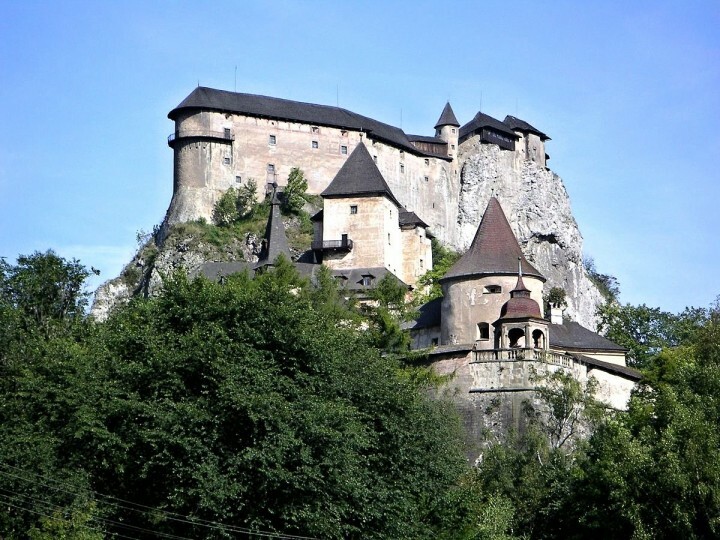 This is a great list of beautiful places in Slovakia. But, I would also add a few more cities. Nitra is a university city with beautiful castle. Kremnica castle is also very nice. And plague column is great. There was a coin factory for different contries. Someone mentioned Komarno which is also pretty. In Pieštany there is famous healing spa. And I am sure there are plenty more beautiful towns in Slovakia. I know because I visited lots of places there. Wow! A very nice and informative article about Slovakia! The photos are excellent too! Julius Szabo: Another thing I wanted to tell you about Drogeria Kubiček. The house is now owned by a Jewish family by the name of Hodal. They have a little real estate empire in Trenčin. They buy properties, restore them and then rent them out. I have no idea who their tenant is in our former store. A few years ago they leased the local synagogue and restored it beautifully. There was no monetary profit for them in this initiative. The last time I was in Trenčin the synagogue was used as a venue for art exhibits of local second-rate Slovak artists. Peter, have you seen Czechoslovak movie The Shop on Main Street (Czech/Slovak: Obchod na korze). It was filmed back in 1965 and it is the first Czechoslovak movie that won 1965 Academy Award for Best Foreign Language Film. It is from the World War II about the Jewish shop on the main street. The movie was banned in the Czechoslovakia from 1969 till 1989 when Russians were here. Thank you for your kind comments. Ja zaisto ešte vypravam Slovensky. Drogeria Kubiček was located on the principal square of Trenčin. The square was called Masarikove Namestie when I lived there as a child; during the Hitler period it was called Hlinkove Namestie; after the War, under the communists, it was called Stalinove Namestie; later it was renamed Mierove Namestie. That’s a neutral enough name that it has chance to continue indefinitely. Should you visit Trenčin again you will find our house right next to the post office. If you know the area, look at the photo on page 19 of my book. The nearby spa I refer to was called Trenčianske Teplice. The swimming pool in question was called Zelena Žaba. As a friend who is also a Holocaust survivor from Slovakia just wrote me: Slovakia was such a beautiful country except for what the Slovaks did to us. Beautiful photos of my native country. Since I grew up in Trenčin I was glad to see a of photo of same. I well remember hiking through the ruins of the castle above the town, as well as swimming in the Vah, which is the river on the other side of town. Thank you Peter, for stopping by. I would really like to visit your Drogeria Kubiček store in Trenčín. Where exactly was the store located, can you remember? It was very sad, horrible, and unbelievable history and I am glad that you finally found your promised land in the U.S. I cannot imagine myself to have such a terrible childhood, nor anyone else around. I have read the pages that are available as a preview of your book at amazon and though it’s very hard to read such terrible Memories of Evil, it is very interesting and valuable and you did an important work when you put your memories into the book! Not only your daughters but all the people should read about what you had to experience. So I will definitely buy your book and will be offering it to my friends as well! I have one very close friend (from my childhood in Košice) who studied all things related to Jews and also spent a year in Israel especially Jerusalem so he will be interested in reading your story as well! If you would want to visit us someday in Slovakia, just let me know, it would be an honor for us! BTW, do you still speak Slovak? Every time I see some article about Slovakia and Presov is missing I think that someone dont like it because its too far from capital or just never been there. If you shoving places like Bardejov , Levoca or Stara Lubovna which are really nice no doubt about it..but expect city centre or close castle there is not much else to see and thats what brings me to my question..is Presov not as nice as these even smaller city centres? 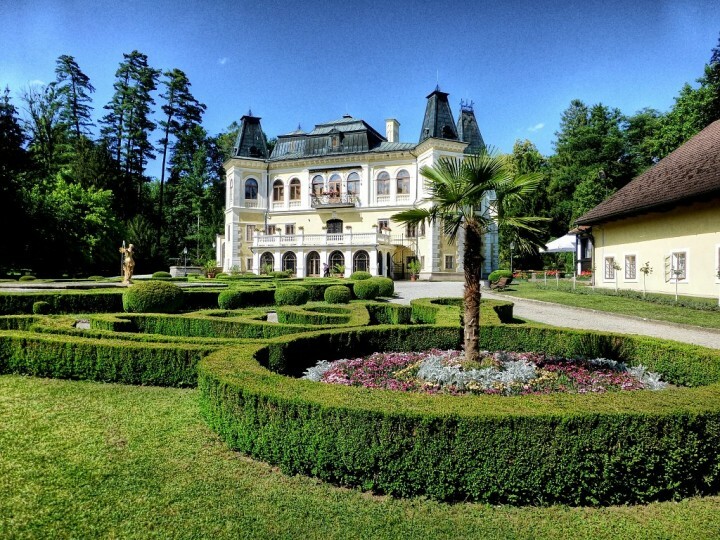 and did you know that there are 6 CASTLES around city of Presov? I know few of them are ruins but I have seen some places in Europe and there are worse looking castles where turists still going. so it will be really nice to see that my city can join the best places in Slovakia..because there is a lot to offer but you need to know where to look.. caraffas prison ,rakoczi house (which is museum) ,jewish synagogue , bossak house , salt mine , opal mine 49th Parallel in city centre and many others ..
Once I was so happy when I found my city in the book between “501 must visit cities in the world” so I think it really worth a visit. And thank you for what you did about Slovakia. Jozef, I added Presov onto the list as well as Banska Bystrica and I will also add Poprad and few more places later today. Thank you for your tips, Presov will definitely have its own article here. Thanks, Jozef, for your suggestion, I really need to add this city on the list, my wife is from Presov, so I cannot clearly understand why this city is missing here. 🙂 You can see some pictures from my visit to the tower of church here https://www.facebook.com/media/set/?set=a.1532478627042880.1073741852.1517950601829016&type=3 Really nice views all around! Slovakia is beautiful! here is a video from many slovak places by young slovak travelers! Excellent list! I know where to visit next time! I have a suggestion to include Komarno, with its cute international plaza in the city centre and old Roman fortifications still surrounding the city. Also, Cerveny Kamen castle is stunning! Well worth a visit. Thanks, Katka, nice tips! I will add both into the list! Janosikove diery – Janosik Holes. 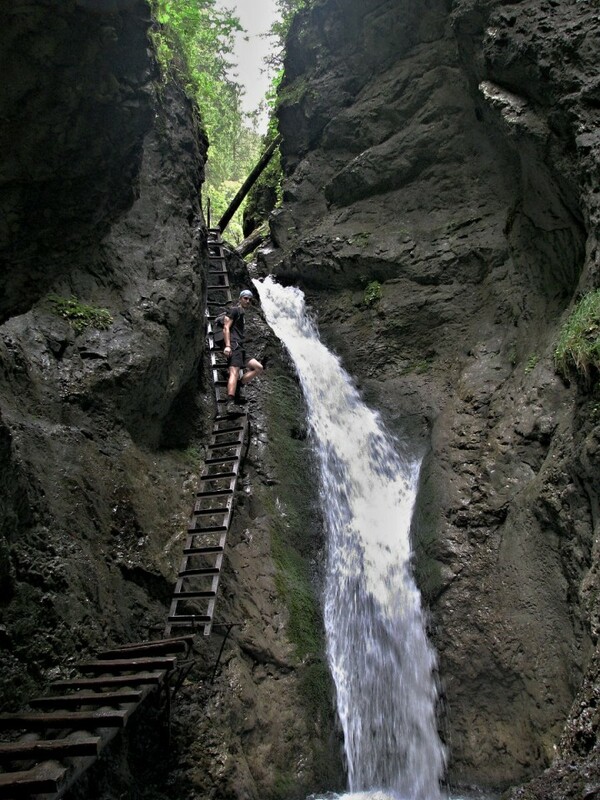 You`ll start your trip from the old well known villages Terchova or Zazriva and through these amazing holes with waterfalls, climbs, ladders, you will hike to the top of Maly and Velky Rozsutec mountains. The beautiful view to Mala Fatra area , to small villages or houses straggled all around is priceless. Thank you, Michal, Jánošikové Diery is a really nice tip and should be definitely in the list. Wow, its a great post and Didn’t know that they have so much to see. 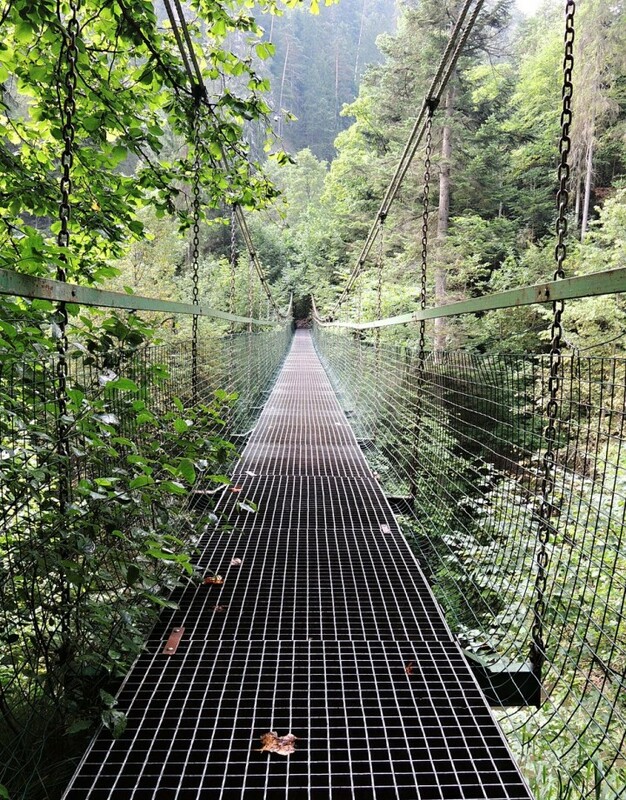 I would love to go and cross that bridge and enjoy how i feel on the other side. lovely pics. Trnava is also very nice city which should be included in this list. It is also called “the little Slovak Rome”. Hi Danka, thank you for your tip, I have just included the town of Trnava along with other places that worth a visit in Slovakia!